During the construction of the North Carolina Aquarium on Roanoke Island in 1980, a mysterious cluster of headstones were stumbled upon. Instead of being placed vertically like most headstones, these were laid flat. Until recently no one knew why. 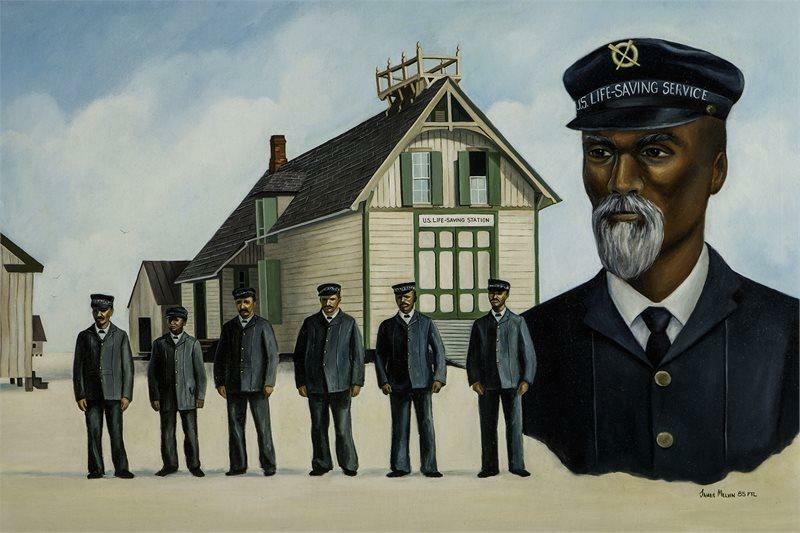 Jared Brumbaugh speaks with the North Carolina Aquarium Exhibition Curator Kitty Dough about the strange cemetery plot which dates back to 1895, and is the final resting place of a former slave, a Civil War veteran and keeper of the nations first all black lifesaving station. 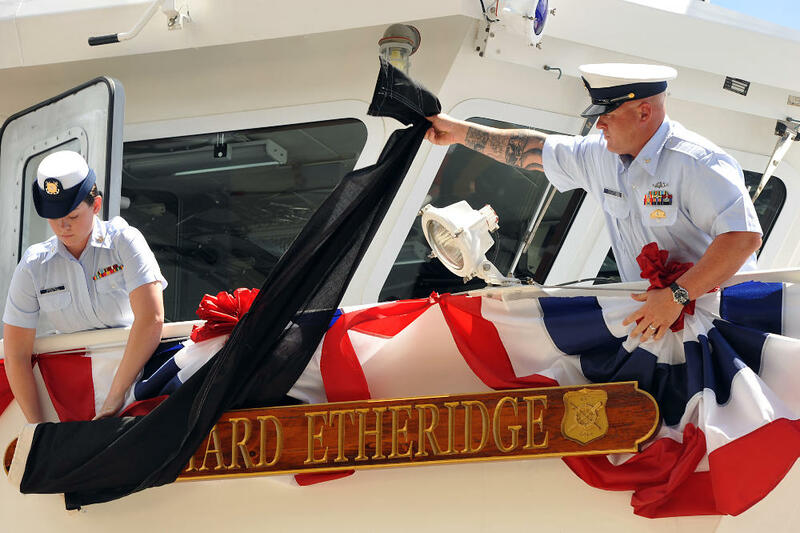 USCG Cutter Richard Etheridge dedication. 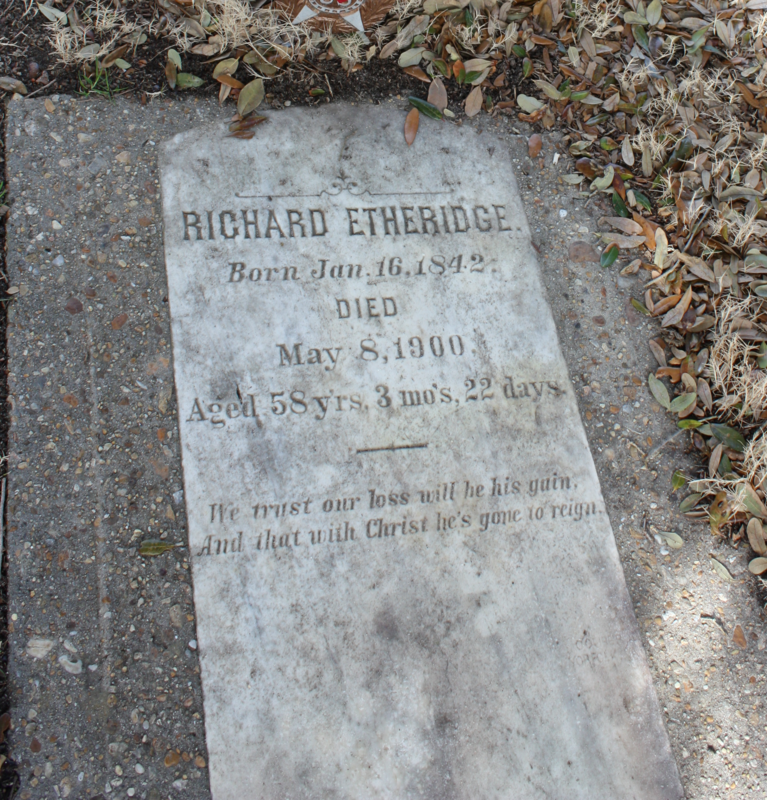 The vessels nameplate made from wood from birthplace of Richard Etheridge).